Located just a short stroll from the centre of Airlie Beach, Blue Horizon Resort Apartments offer stylish, modern accommodation overlooking the Coral Sea. 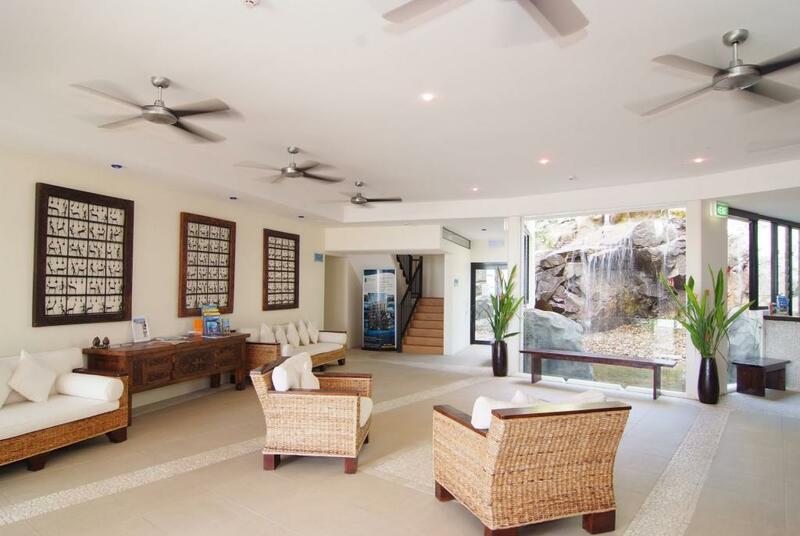 Surrounded by a wide range of local shopping, dining, activities and attractions, the resort is also close to the departure point for Great Barrier Reef tours. 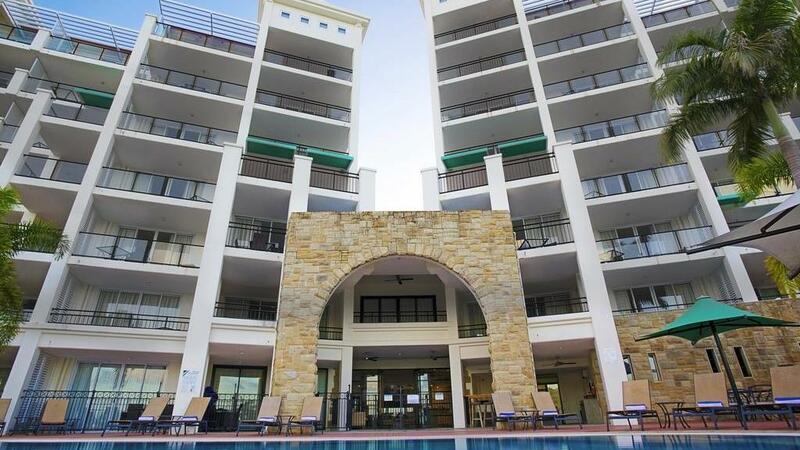 Accommodation at Blue Horizon Resort Apartments offers a spacious range of apartments and penthouses with open plan interiors, modern finishes, air conditioning, spa baths, TVs with cable channels, kitchen and kitchenette facilities, designated secure undercover parking and private balconies. Blue Horizon Resort Apartments are also home to a fantastic range of onsite facilities including a 15m pool with heated spa, a children's wading pool, sun deck, sun lounges, outdoor entertainment area complete with BBQ facilities, gym, tour desk, business centre and more. 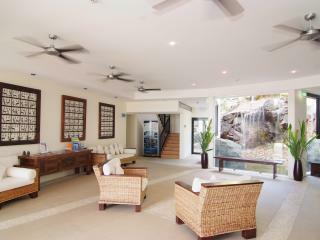 Accommodation at Blue Horizon Resort Apartments feature a Balinese influence with open plan living. Choose from self-contained Apartments or luxury Penthouses, some featuring spa baths and amazing ocean views. 1 Bedroom Ocean View Apartment: Bedding is 1 King Bed OR 2 Single Beds. Maximum room capacity is 2 Adults & Children. 1 Bedroom Ocean View Spa Apartment: Features corner spa in the bathroom. Bedding is 1 King Bed. Maximum room capacity is 2 Adults & Children. 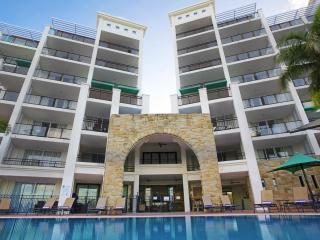 2 Bedroom Ocean View Apartment: Bedding is 1 King Bed + 2 Single Beds OR 2 King Beds. Maximum room capacity is 5 Adults & Children. 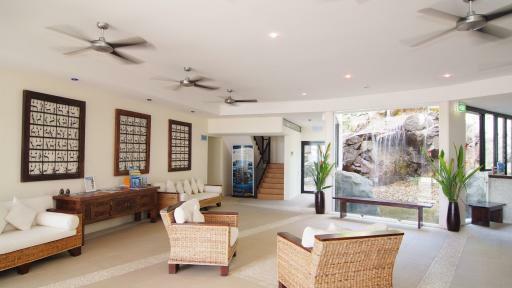 3 Bedroom Ocean View Spa Apartment: Features corner spa in one of the bathrooms. Bedding is 2 King Beds + 2 Single Beds OR 3 King Beds. Maximum room capacity is 7 Adults & Children. 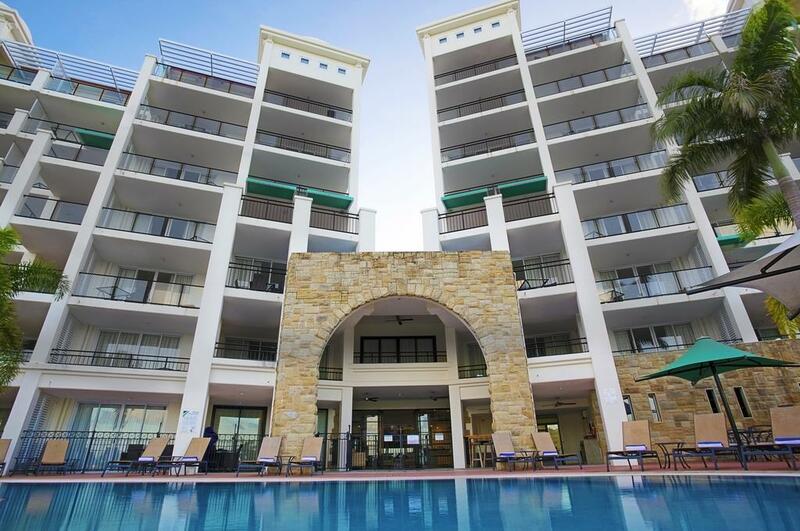 Penthouses at Blue Horizon Resort Apartments are located on the top floors with large open plan living areas and aprivate balcony with Jacuzzi and sun lounges. 3 Bedroom Top Floor Ocean View Jacuzzi Penthouse: Features Jacuzzi on balcony plus spa bath in main bathroom and open shower with dual shower heads. Bedding is 2 Queen Beds + 3 Single Beds. Maximum room capacity is 8 Adults & Children. 4 Bedroom Top Floor Jacuzzi Penthouse: Features Jacuzzi on balcony with wet bar and sun lounges, gourmet kitchen, two living areas and three bathrooms. Bedding is 3 Queen Beds + 3 Single Beds. Maximum room capacity is 10 Adults & Children. Price on application. Accommodation at Blue Horizon Resort Apartments feature self-catering kitchenette and kitchen facilities however there is also a huge choice of bars, cafes and restaurants within a short distance of the resort. Children: 0-2 years are free of charge in existing bedding. Children 3 years and above are charged at adult rates. Cots are available to hire, payable direct to the property. The apartment was nicely decorated and styled, perfectly tidy and clean and had everything we needed to be comfortable. The location was good on balance because it was far enough out of the town centre to be quieter but only a 7 minute walk away. the pool was nice and clean, the gym adequate enough for what you need on holiday and the guy in reception was friendly and helpful enough. Overall very pleased with our stay there.